Since 1994 The CSW Catalog has been the source of thousands of copper and fiber connectivity solutions and products. Product line include Category 6, and Category 5 end to end solutions(patch panels, information outlets, patch cables, and bulk cables), Ethernet (Hubs, NIC, repeaters, transceivers, cabling for 10Base-2/5/T/FL or 100Base-TX),Token Ring (NIC, MAU, cabling solutions). 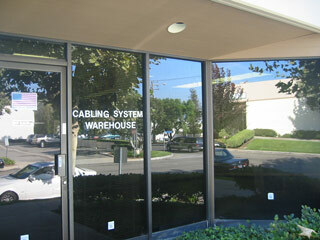 Also available are cable management equipment such as equipment rack, wire organizer,and cabinet. Tools and testers for a wide range of applications. Also available are SCSI cables, terminators, adapters, V.35 cables and other PC related cables and accessories. Major credit card accepted, overnight delivery is available.